A wider field of view with no compromise in resolution! With the new “Multi-Sensor Registration” system for the SmartRay family of ECCO 3D-Laser sensors, the finest details of wider objects can now be inspected without loss in resolution. Two ECCO 75.200 units joined together in this way operate like a single 3D sensor and allow measurements within a single combined calibrated image. This innovative sensor system delivers a highly integrated solution and delivers 42 µm resolution over a width of approximately 500mm. The field-of-view of multiple sensorsarecombined via software and made available to the customer for further image processing. 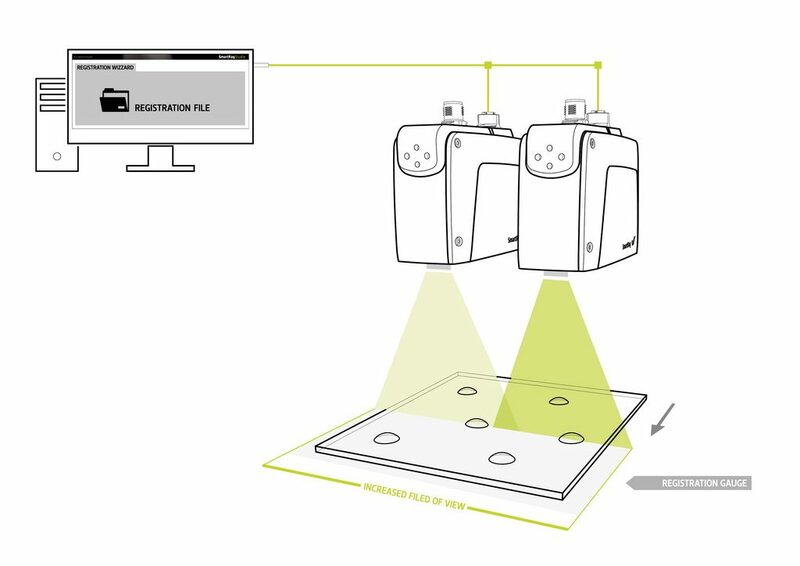 The new SmartRay “Multi-Sensor Registration” system enables the 3D measurement of large objects from multiple sensors in the same coordinate (XYZ) system. The calibrated images generated have the high lateral & vertical resolution needed for detailed inspection and measurement tasks. Every 3D profile generated by ECCO 75 scanners is made up of 1920 points, for the reliable inspection and measurement of even the finest features. 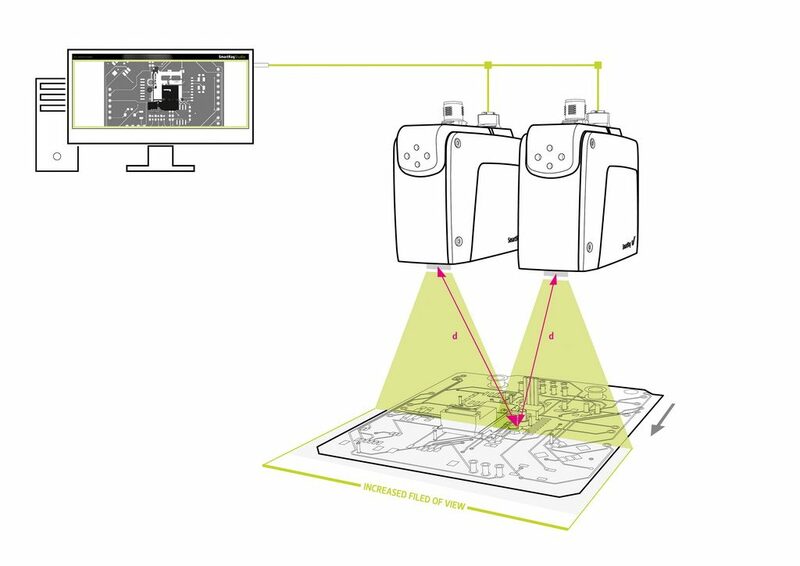 “Multi-Sensor Registration” is available for all 3D sensors in the ECCO family.For example, two ECCO 75.200 sensors, each with a field of view of 250mm, can inspect objects of up to 500 mm in width. As a result, the ideal resolution can beobtained in both the vertical and lateral axis. The low stand-off distance makes it easy to incorporate the solution into compact machines. The “Registration Wizard” in the intuitive “Studio 4” user interface,makes setting up multi-sensor measurements very straightforward. Using state-of-the-art technology, the “wizard” guides the user to register and set up multiple sensors in a simple step by step process. Multi-sensor registration by SmartRay: Compact installation, one image, highest resolution.